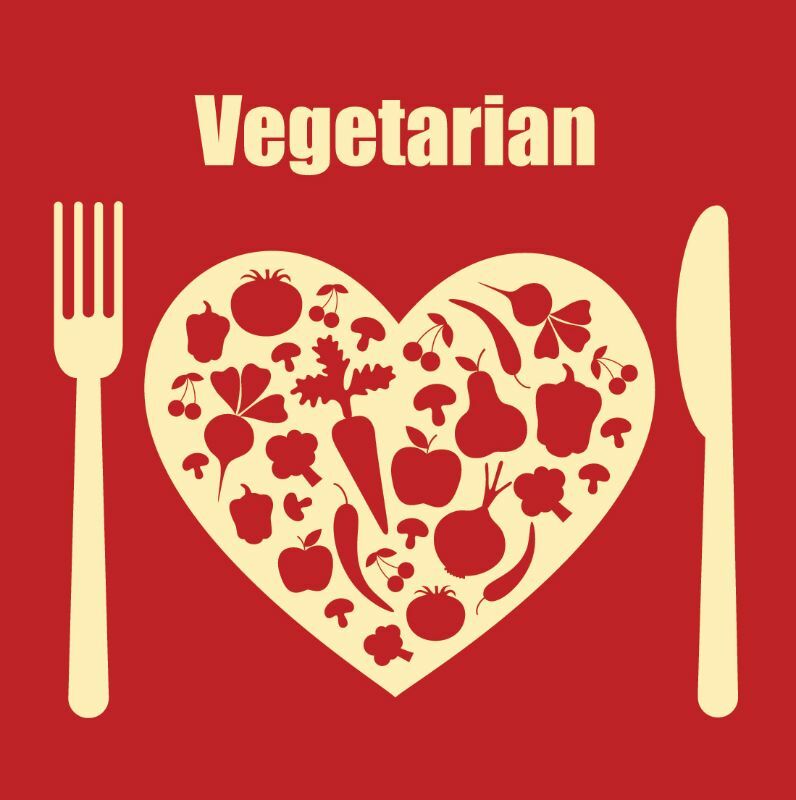 October 1 is World Vegetarian Day. September 27th was ” Hug a Vegan/Vegetarian Day”. A vegetarian diet is known to reduce the risk for a number of chronic diseases, but as a vegetarian, I know that just avoiding animal products and non-vegetarian food will not keep me healthy. Since vegetarianism is a great basis for a healthy lifestyle, I know I must include enough fruits and vegetables instead of relying on the supermarket’s packaged foods to stay healthy. Our main source of excess sodium/salt is processed foods. Examples are pretzels, packaged foods like soups, salted nuts and other ready to eat or ready to cook foods. If you eat out often, there is no way to tell how much salt is going into you. What is true is it all adds up. But why should you care? Here’s why: a high-sodium diet can lead to heart disease and stroke, besides depleting the calcium in your bones. Vegans with low calcium intakes are at higher risk of bone loss. Like excess salt, sugar can cause havoc in your system. We are often unaware of the sugar we consume in the form of soda and packaged juices. Too much sugar can affect your health, resulting in unpleasant conditions like obesity which in turn can lead to diabetes, cancer and heart disease not to mention oral health issues in the form of cavities. So how much sugar is okay? Avoid it as much as possible. Most bakery goodies are made of white flour – processed wheat that is free from healthy bran and germ, which are the main sources of fiber, antioxidants, vitamins and minerals in whole grain. Foods like white rice, pasta, bread are basically empty calories that add up and put you on the road to fat and unhealthy. Instead, choose healthy options that contain whole grains – go for brown rice, whole wheat pasta, barley, quinoa, buckwheat etc. Go for brown! Brown is the new black! Even though vegetarians do not consume much animal fat, their diet is likely to be rich in saturated fats that come from dairy products, eggs, palm oil and coconut oil. Then there are those trans fats from hydrogenated vegetable oils, baked goods, deep fried foods and margarines. Saturated fats and trans fats are bad fats that are known to increase the risk of heart disease. What are healthy oils, then? Olive oil, canola, avocado oil, nuts and seeds. Omega-3 fats reduce the risk of heart disease and vegetarian sources for these are ground flaxseeds, hemp seeds, flax oil, and walnuts. Processed foods are high in sodium, sugar and fats. Even soy-based substitutes for meat products that vegetarians enjoy are processed foods. Go for unprocessed whole foods or less-processed soy foods like tempeh, tofu and soymilk. If there’s one thing that is extremely powerful in the vegetarian diet, it is the dark green leafy vegetable. This includes spinach, collards, kale, mustard greens, turnip greens, beet greens, Swiss chard, and broccoli. They are rich in anti-oxidant nutrients, minerals and fiber and very low in calories, sugar, sodium and fat. Bone health depends on Vitamin D which also helps in cancer prevention and calcium absorption. So get out in the sun. As you grow older you might need to supplement with vitamin-D fortified foods. We need Vitamin B12, an essential nutrient only in small amounts but not getting enough can cause big problems especially in babies, children, pregnant or lactating women. Vegetarian sources for Vitamin B12 are from fortified cereals, nutritional yeast, fortified soy milk and vitamin B12 supplements. Minerals like calcium, iron, iodine, and zinc help in bone health while preventing anemia, promoting thyroid function, strengthening the immune system, and overall healthy growth and development. Good non-dairy Calcium sources are foods like collards, kale, tofu made with calcium sulfate, calcium-fortified soymilk and juice, and soy- beans. For iron, look for beans, greens, and whole grains. Get your vitamin C from oranges, tomatoes, and cantaloupe – in fact, if you eat them with iron-rich foods, it will help iron absorbtion. Know that tea, spices, coffee and dairy products can inhibit iron absorption. If you are pre-menopausal or pregnant, consult your doctor for iron supplements. As far as iodine is concerned, vegetarians must depend on sea vegetables and iodized salt. If you are keen on cutting down salt, talk to your doctor about iodine supplements. Foods like dried beans, oatmeal, wheat germ, spinach, nuts, and soy products and pumpkin seeds are good sources of zinc. stretching/flexibility (improves balance, reduces risk for falls). So that’s ten healthy eating tips to focus on if you are a vegetarian. “This post is shared at Healthy, Happy, Green & Natural Party Hop”. Please click the image below to participate and visit some awesome blogs! Great educative post….I still learning to get myself disciplined…I know all this and possibly have tried it all out, but somehow just can’t get myself disciplined for it for a long time. This has some great information Vidya. When I was a teenager, I read the book “The China Study” and decided to become a vegetarian for health purposes. Sadly, I went about it entirely the wrong way and actually gained weight. My grains/bread/pasta intake doubled when my vegetable intake should have doubled. It only lasted a few years and I went back to eating meat. Now I’m looking into a raw diet because of it’s health benefits. Thanks for sharing this information with us…. excellent post vidya. I like the fact that you have explained the reason and also given examples of specific foods along with DO’s and DONT’s. really informative. and i loved this blog! You know that for 2 years I had vitamin D deficiency, and it was awful, my joints, bones and everything hurt so bad. Now I have to take vitamin D as daily basis, in deed, sometimes is hard to stay healthy but not impossible! Thanks for Sharing commenting from Blog Formatting..
A great article Vidya. The content is very good. The DO’s and Dont’s are explained well. Thanks for sharing. Know your sodium! Fab tip! I think this is the one that slips by me the most. I think if it doesn’t “taste” salty it must not be high in sodium . . . yet that is sooooooooo not true! I am an aspiring vegetarian, I been working on it for about 2 yrs. was doing great and fell off the band wagon and I am doing so so now. I eat chicken a about 3 times a week and some weeks I do sustain from any meat at all. I try to eat a lot of green veggies. Great tips. I love yoga and exercising to keep my body in shape. Plus it always makes me feel good. Thanks for sharing. Excellent tips, Vidya! I am not a vegetarian, but I don’t eat a lot of meat either. This is excellent advice whether you eat meat or not, thanks for sharing. I am more of a “flexatarian”, but I definitely see the benefits of a vegetarian diet. I try my best to eat healthy but its exercise that I don’t do enough of and as I get older, I can certainly tell that I need to incorporate it into my life!! Thank you for the fabulous tips! Thanks, these are good tips even if you’re not a vegetarian. I love this post! It is so helpful! I have been vegetarian, then vegan for many years and I love the enormous variety of colorful, nutritious and delicious meals I have each day. I usually start my day with a glass of warm lemon water, then hot green tea with almond milk, followed by fresh fruits in season for breakfast. I also make green smoothies in the morning. For lunch, I like to have a different types of mixed green salads topped with beans, quinoa, avocado, olives, tomatoes and other vegetables. I often buy a freshly made organic green juice, if I have time. Although sometimes I make a large pot of bean and vegetable soup which is great for lunch and lasts a few days. I often enjoy a hearty meal of steamed or curried vegetables, brown rice, seaweed, beans, tofu or tempeh or I just have another salad. And don’t get me started on the joys of eating out at vegetarian, vegan and raw food restaurants. I am fortunate that I live in a city with many vegetarian restaurants to choose from. I have a few favorites that I go to regularly! All said, life as a vegetarian/vegan is awesome! Thank you so much for partying with us at our Healthy, Happy, Green & Natural Party! I am looking forward to enjoying more of your great posts! And I am sharing this all over the place! Welcome, Deborah! 🙂 I am so delighted to read your comment! Ever since I began working from home, I’ve become more conscious about my diet. It is all too easy to slack off and binge! And repent later! I am lucky I grew up in a family that believes in healthy yet tasty food. Also, I enjoy cooking. Recently I’ve begun green juicing, although there are days I am too lazy and just eat the fruit or veg, if it is a salad veg. I am thrilled to be part of the blog hop and look forward to more interaction! Thanks for dropping by! 🙂 So happy to meet you!